OhmCulture is home to a group of inspired wellness warriors. Their Chicago Studio, designed to calm the senses and focus the mind, hosts a large practice space with some of the best teachers Chicago has to offer and a separate meditation space. That is such a unique question! I’ve actually never thought about this before. I guess my most memorable yoga moment was in my early introduction to yoga in college. I was 18, and I forget how but I stumbled upon a little Kundalini Yoga Center in my college town at Indiana University. I was intrigued by this pre-sunrise yoga session, so I stumbled into this low-lit wooden room at 4am. This was before yoga pants were stylish, and few people had yoga mats. It was just me, a couple devotees, a guru, chanting, incense, meditation and an inexplicable sense of connection. It was quite the immersive first-time yoga experience, but I found it absolutely magical and sacred. My most inspirational moments have been traveling. Traveling to foreign countries, particularly with no destination or plan. Even just being on an airplane really puts me into a flow-state. Those have been the most inspirational and influential moments of my life. Im also inspired by knowledge, human stories, authenticity and unabashed creative genius. I went to Indiana University Bloomington, and the campus boasted a really incredible array of worldly and cultural immersions. My first formal introduction to yoga was an old Victorian-style home turned Kundalini Center that I cant even remember the name of. I dont remember how I found it. I later started frequenting a small, local Buddhist monastery. My yoga journey started in meditation, contrary to current trends. I recall finding yoga on a gym schedule to be odd because at the time I didnt have much exposure to Asana. That came later, and having worked in politics for many years, yoga as a career came much later as well. What is your fave Mala? I’ve already started a nice little Mala collection, but I’m still drawn to my Tiffany Cruikshank Mala, which was my first. I got it in the midst of opening OhmCulture, while I was simultaneously moving into a condo with my boyfriend, traveling to Costa Rica and turning 30 all in a matter of a month. I was all in my head, and the grounding properties of the Fire Agate and Labradorite attracted me. I find myself unconsciously pressing the guru bead to my lips or chest when in deep-thought or making a big decision. I still don’t know why. Any encouraging words for the community? I think confidence in your own authenticity and truth is the most attractive thing in a human. And, I don’t necessarily mean attractive in the commonly used sense, although that’s true as well. I mean that it attracts you to things you need and attracts things that need you, to you. The whole concept of manifesting and the “law of attraction” really starts with knowing your Self deeply…the greater Self, out beyond ego or perception. My advice is be authentic and give the Universe permission to let things fall into place. When she’s not nurturing and supporting her Tribe at OhmCulture, Megan is traveling, boxing, crafting concoctions with her juicer and being an unabashed cat-lady. Grow with possibility to create abundance in all aspects of your life. Join Katie Brauer and take the first step in letting go of who you think you should be, to embrace who you truly are. 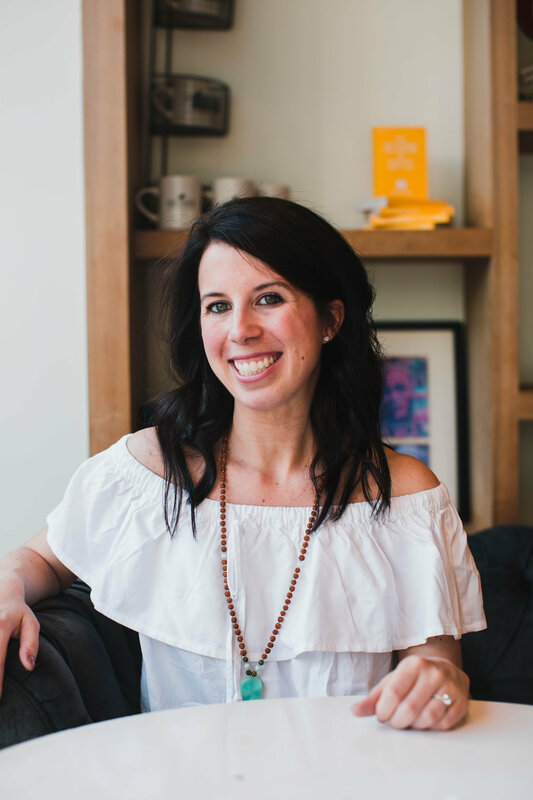 With 20 years of coaching experience, Katie Brauer has mentored thousands of people just like you, to live more joyful, abundant, and connected lives. 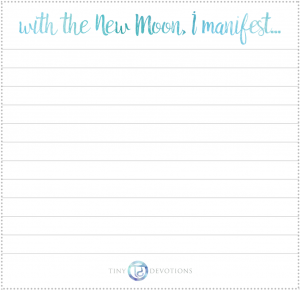 Katie guides you to create a new sense of normal that inspires your personal power by improving relationships with yourself and others. Who is the Flourish Program for? Everyone seeking growth in their life. For those looking to step into their power and gain a greater sense of self. For those who have been thinking of taking a leap and landing that dream job. For those searching for love or a life partner. For those who find their excuses are holding them back from creating the life of their dreams. For those who wish to experience life to the richest, fullest, most joyful extent. A 3-month program with master team leader and inspirational educator Katie Brauer. This program will take you on a journey of reflection, connect you with your calling and set you up for massive growth in 2016. Katie Brauer travels the world offering women the unique opportunity to connect, transform and improve the quality of their lives. She’s a mover, a shaker, known as THE teacher of teachers. 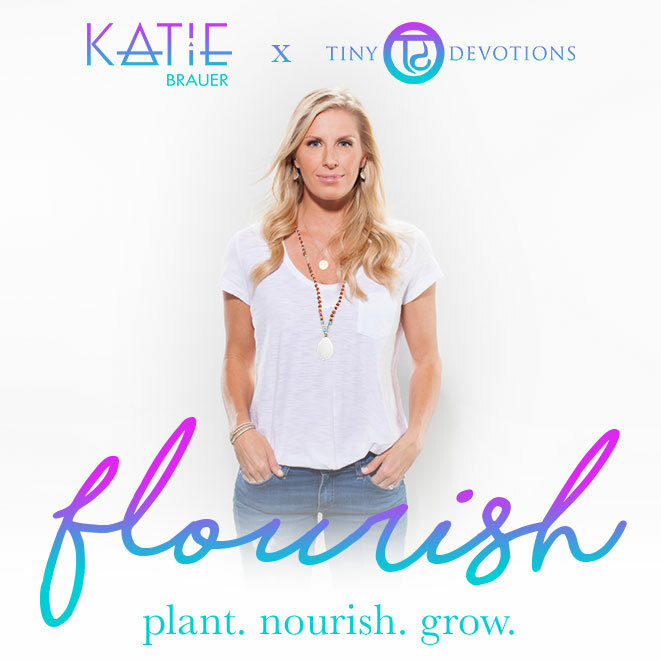 A leading expert in health + wellness, Katie combines two decades of experience offering wisdom and the tools to align, take action and create lasting change in your life. What specifically does this program teach? Going for what you want. Exploring what makes your soul shine. How you can discover: Passion. Creativity. Love. Abundance. Connecting with your essential self. Creating space for new experiences. How you can change your life, shift your mindset, and grow. How you can reignite the fire within your heart. What will I receive with Flourish? 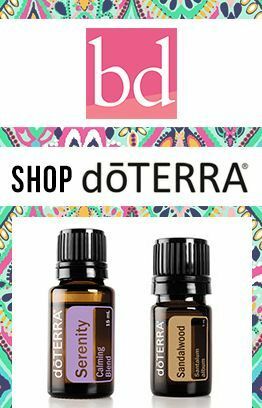 Want to connect with Katie and learn more about this program? We would like to invite you to sign up for a FREE live webinar on Wednesday, January 27th 2016 at 7:00 p.m. EST (4:00 p.m. PST). This free Webinar will guide you to a richer, fuller and more inspired life by improving relationships with yourself and others. What are people saying about Katie? Registration Closes: February 16, 2016. Limited Spots Available. Sign up for the FREE Live webinar here. 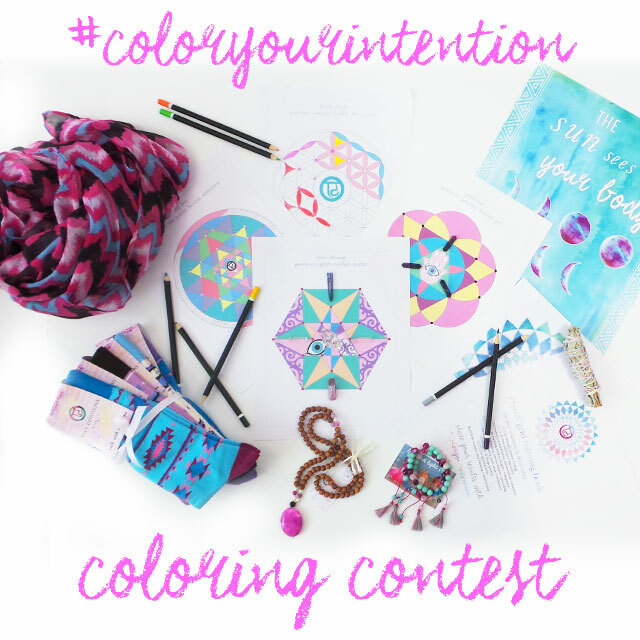 Show us how you relieve stress + inspire creativity using our gifted Crystal Grid Coloring Book (if you haven’t received yours, simply sign up for our e-newsletter here) for your chance to win a one of a kind Tiny Devotions prize pack valued at over $500.00. 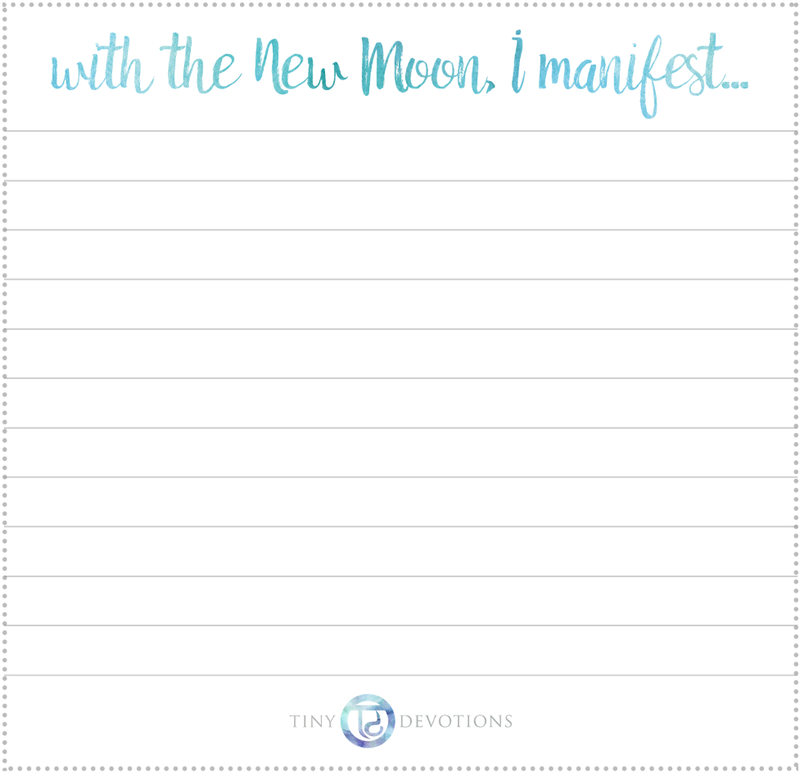 Share your design on social media using #ColorWithIntention #tdme @tinydevotions with a short description of where you color, what colors you’re using + the intention behind them. We’ll be selecting the most radiant, bright + magical submission as the winner on Thursday, November 12th, 2015. Karma. Every action has a reaction. Good deeds and good seeds lead to positive future effects and the opposite lead to suffering. Your intentions affect your actions. If you take full responsibility of your thoughts, beliefs and actions – you take accountability for your reality. 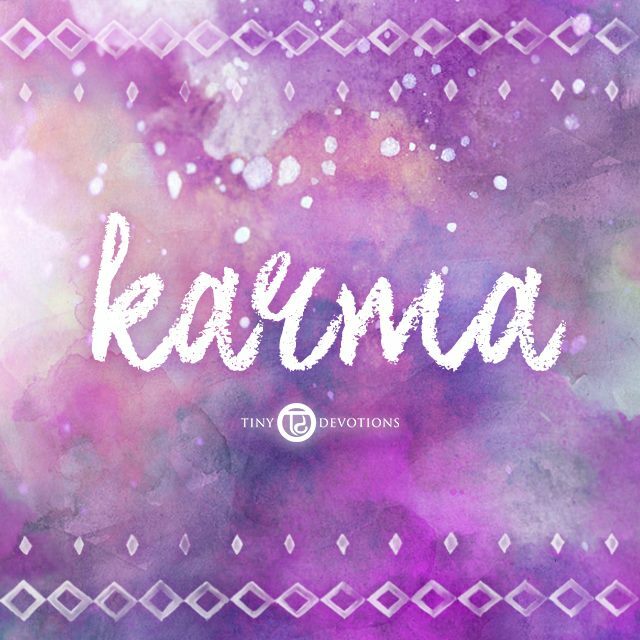 Instant Karma (Parabda): How you act now affects your current or instant karma. Instant means the next few minutes, days, or months. Acculumlated Karma (Sanchitta): This is Karma from earlier in your life as well as potentially past lives. Future Karma (Agami): Unresolved Karma in the present can lead to future Karma. 5. Be a reflective student of life. Reflect on the lessons you have learned. 6. Think positively and be a beacon of good energy and vibes. 7. Love yourself. When you start with yourself you will love others deeper. 8. Connect – meet your neighbours, become friends with your dry cleaner – go deeper in the relationships you have with people you see each week.